In Landed Newsletter No. 30 read about Landed Japan 2.0, new taxes on foreigners buying property in BC, governments in Japan and China crack down on Airbnb, rumors of an empty-house tax in Hong Kong and much more. Research by the Reserve Bank of Australia shows that zoning raised detached house prices 73% in Sydney, 69% in Melbourne, 42% in Brisbane and 54% in Perth. Taxes that were introduced to deter speculators in British Columbia have been attacked by civic leaders in the western part of the province, where cities depend on tourists from Alberta, and by residents of the Gulf Islands, many of whom own second homes in Vancouver that will be subject to the new taxes. After a public outcry, BC's provincial government scaled back the new taxes. More than 2,000 Vancouver homeowners failed to declare the occupancy status of their homes by the March 5 deadline and will face heavy taxes under the city's new empty home law. Toronto residents are angry about the secrecy surrounding the smart city being built by Sidewalk Labs, which is owned by Google's corporate parent, Alphabet. Even Toronto's mayor is unaware of the terms of the contract with Sidewalk Labs. Cash-strapped Mainland developer HNA Group sold a third parcel of land at the site of Hong Kong's former Kai Tak Airport to Wheelock Group for HK$6.36 billion (US$810 million). Despite curbs on Mainland developers, Hong Kong property prices continue to soar. A new, 209-square-foot apartment in Pokfulam, a neighborhood in Western Hong Kong Island, sold for HK$7.9 million (US$1 million). New apartments with fireproof shelters on each floor will go on sale later this year. The shelters—which are required by a regulation that was introduced in 2014—are expected to add HK$1,200 to the annual management fee for a 500- square-foot apartment. To solve Hong Kong's housing crisis, legislators are considering an empty homes tax. An NGO, meanwhile, claims a government body tasked with finding solutions to the crisis ignored brownfield sites that could support more than 84,000 apartments. Many of the sites are in areas controlled by the politically powerful Heung Yee Kuk. The Economist ran two stories on housing in Japan. One looks at the short life span of Japanese homes, the second looks at the vast amount of unclaimed land in Japan. Both topics are covered in depth in the second edition of Landed Japan (see below). Media reports claim Suruga Bank and real estate agent Smart Days colluded to falsify loan applications for 1,000 people who invested in share houses. Gaccom has assembled a real-time, billingual public safety map of Japan that shows 27 kinds of incidents, ranging from robberies and wild animals to fires and assaults. Japan's long-awaited Airbnb (minpaku) regulations take effect on June 15. Hosts need a government-issued registration number for each listing. After June 14, listings without a number will be removed from the Airbnb site. The combination of tough national and local regulations will make it difficult for hosts to operate profitably, despite a severe shortage of hotel rooms. One host told me he plans to convert 100+ apartments from Airbnb to conventional leases. Meanwhile, one hotel in Tokyo is offering front desk services to hosts with nearby Airbnb properties. In China, Airbnb will share guests' details, including passports and booking dates, directly with the government. For the first time, a driverless car has killed a pedestrian. Elaine Herzberg, 49, is believed to have died when she suddenly stepped in front of the vehicle in Tempe, Arizona. The car was owned by Uber. Self-driving cars have attracted the attention of the U.S. liquor industry, which believes they could reduce instances of impaired driving and cause a spike in alcohol consumption. A Wisconsin man who was synthesizing explosives in a rented apartment blew himself up. The chemicals were so dangerous that the 16-unit apartment building could not be salvaged and had to be burned to the ground. Landed Japan arrived from the printer and is also available from Amazon. Ebook versions in mobi for Kindle and EPUB formats are also available. 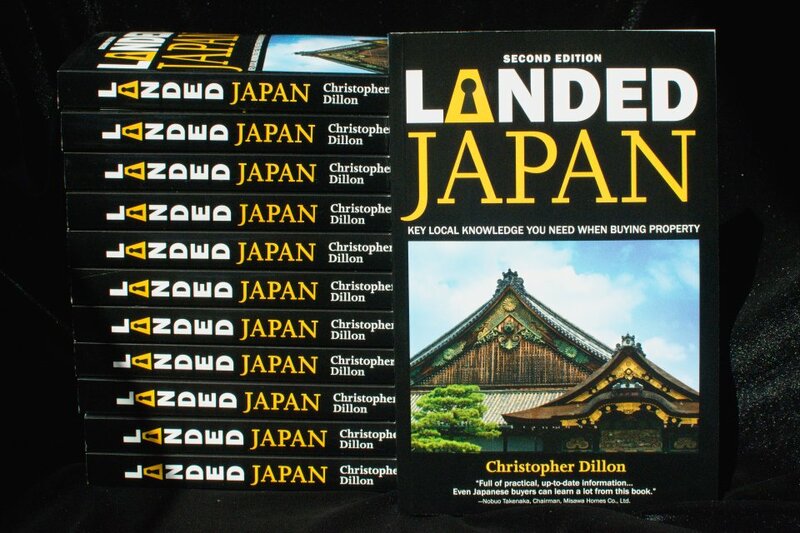 I will soon be announcing launch events for Landed Japan. Watch this space for details. 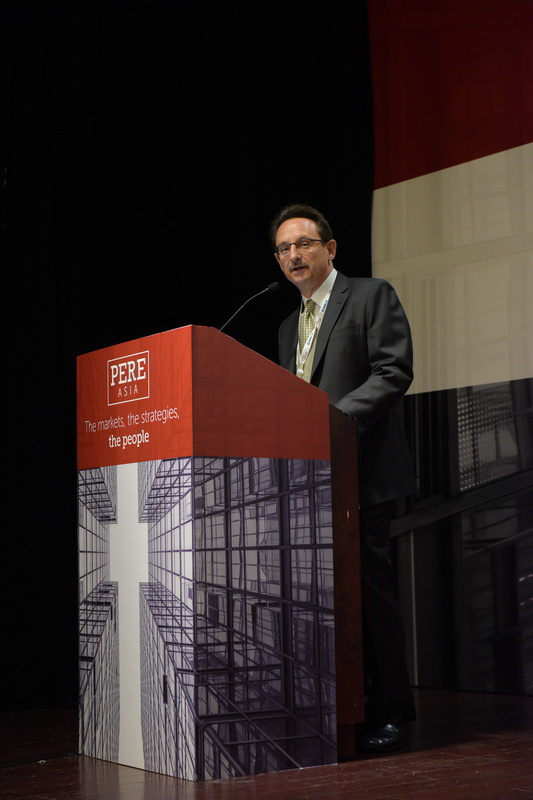 I had a blast chairing the second day of the PERE Asia Summit in Hong Kong on March 8. This was my sixth PERE event, and they never fail to deliver interesting speakers and great networking opportunities. If you enjoy this newsletter, please share it with a friend. Landed Newsletter No. 30 was published on April 3, 2018.